If you are taking a trip into higher altitudes, you may be interested in ginkgo biloba for altitude sickness. This herb is very helpful for this issue and will bring you a lot of relief. In this article, you’ll see exactly how it works and why it’s one of the best remedies for this problem. Also, you’ll learn how to take it, side effects and additional tips to keep you safe. Before all that, take a look at some altitude sickness information. Oxygen levels change at higher altitudes. At around 8000 feet, there’s less than half the oxygen in the atmosphere than at sea level. Because of this, your body becomes oxygen deprived and altitude sickness happens. Dehydration plays a key role too. At higher elevations, fluid moves out of the blood and into the blood tissues. When the blood thickens, dehydration interferes with efficient distribution of nutrients and oxygen and impedes the elimination of wastes. There are more than 200,000 cases in the US alone and symptoms can last up to a few weeks; although most pass in a few days. 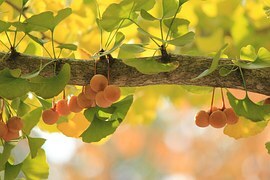 One of the most fascinating things about ginkgo is it comes from the oldest surviving tree on earth and came into existence over 200 million years ago. It’s a sacred tree in Asia and you will find it planted around Buddhist temples. This is one of the highest selling herbs too, with sales over a $1 billion annually. Also, it happens to be very helpful in altitude sickness. Your brain consumes 20% of all oxygen inhaled. The most common cause of altitude sickness, known as acute mountain sickness (AMS), happens because your brain isn’t getting enough oxygen. Ginkgo works by increasing blood flow all over your body and especially to your brain; this is important because oxygen is transported by your blood to all the cells and tissues in your body. In one study, rats were given ginkgo and showed a definite increase in cerebral blood flow and tolerance to low-oxygen effects. Obviously, this is great for altitude sickness. In another study, two groups of mountain climbers were given either ginkgo or a placebo before a climb in the Himalayas. The group taking ginkgo experienced far less symptoms of altitude sickness than the group that didn’t take it. It would probably be better to suffer from AMS than experience any of those side effects. For this issue, a ginkgo extract is recommended. The standard dosage is between 60 to 240 milligrams a day. You can spread this out through the day and take 50 or 60 milligrams at a time. This herb is safe to use and comes with very few side effects, unlike the pharmaceutical options you saw in the last section. In larger than recommended dosages of this extract, you can experience irritability, restlessness, diarrhea, nausea and vomiting. Talk to your doctor before using if you are on blood thinners, pregnant or have any clotting disorders. There are a few things you can do to minimize or prevent this problem. The first is to ascend slowly, at around a few thousand feet a day. If you can do this your body will naturally acclimate to the change in oxygen levels. That usually isn’t a viable option if you are a mountain climber or if you are skiing for the day. The next best thing you can do is hydrate before your climb and continue to hydrate as you increase elevation. You may not have access to all these herbs and you should mix in as many as you can get your hands on. Altitude sickness isn’t something you have to suffer from. With the right precautions and the right herbs, you can limit your risk greatly. One of the best herbs is ginkgo biloba and it is easily obtainable and very affordable. If you have any more questions, please comment below and I’ll respond as fast as possible. If you like what you read and want your family and friends to see, share on social media. Thank you Dylan for the information on this unique tree. I remember once taking Ginkgo Biloba for a period of time but it didn’t really help. However, the issue that I had at the time is completely unrelated to altitude sickness. Also, it was in capsule form which probably made it less potent and I took it for a short time. 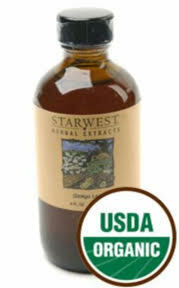 I will look at Starwest Botanicals when I make my next purchase as their quality and price seem to be more than decent.